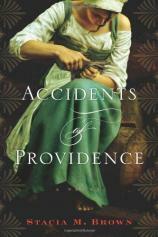 Accidents of Providence, by Stacia M. Brown, depicts the life of an ordinary woman living in early modern London during the Interregnum, the kind of person often overlooked by the history books and films centered in the period. Even in her own time, Rachel Lockyer is hardly noticed by others: she is an unmarried woman who struggles to support herself, living on the margins of society, and she cannot easily be slotted into one of the few roles available to women. 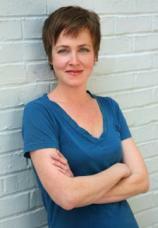 But the novel opens up her life to us allowing us to glimpse her inner self, her passions and her humanity. When she falls in love with William Walwyn (a real historical figure), she finds herself swept up in the tide of history and a victim of Puritanical laws. These laws dismiss her worth and her humanity as much as the politicians who would use her as a symbol or the historians who would forget her story altogether. At the center of this story is the mystery of what happened to her infant daughter, a child whose illegitimate birth is a crime in itself, and whose death puts Rachel in the middle of a debate over morality, law, love, and betrayal.